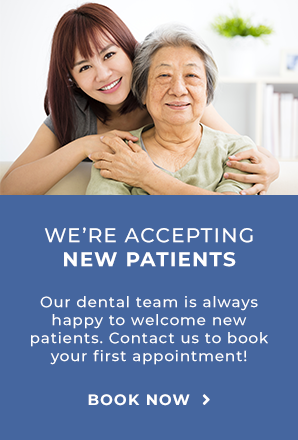 Our dentists at Markham Steeles Dental Centre in Scarborough use dental X-rays as an important part of your dental treatment plan. Our dentists use a panoramic X-ray machine to get an X-ray of your teeth and your whole mouth. Dental X-rays are an important tool for your dentist in the development of your treatment plan and in monitoring your overall oral health. Regular dental x-rays allow our dentist to identify any immediate issues – like cavities and infections – as well as track the ongoing health of your mouth.